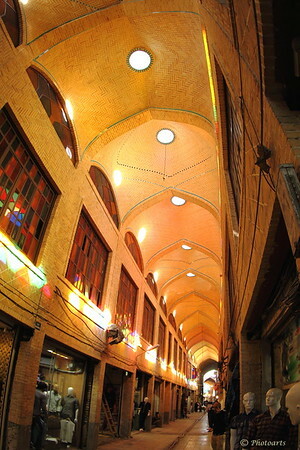 Unique light and atmosphere under high arches over alleys of Tehran's central bazaar. Mannequins standing in the corner and dressed with men's clothing stare at walls painted by colorful light through the stained glass. I like the perspective and the lighting, as you mention.